to learn more on the process and get help with marketing your home! Wire fraud is on the rise in the real estate industry. Educate yourself on prevention and awareness to safe guide your money in a transaction. Read more here. At TitleTeam, we recognize the nuances involved in real estate transactions and understand how stressful and confusing the process can be, especially with so many parties involved and often times with different agendas. TitleTeam will intimately act as your expert guide through the process, creating clarity and providing assurances so you can arrive to the closing table confidently. In Florida, it is traditional for the party paying for the title insurance to choose the closing title agency. And because this is typically the Seller, you can choose who you want to work with. We refer to this as the "HOMEOWNERS CHOICE". This is often overlooked or not mentioned at all to homeowners. Title agencies charge different fees and Sellers should leverage the opportunity to shop around. There are additional opportunities to save money on title related fees when selling your home. Please contact our office at 407-591-3726 to speak to one of our licensed title agents or click below to request a call. Refinancing your mortgage for a better rate or term, or taking cash out? Great idea, there’s never been a better time than now! But know that your new lender will require you to pay for a title insurance policy that protects their interest in your property. YOU get to choose the title agent you want to work with since you are the one paying for it. We refer to this as the "HOMEOWNERS CHOICE". Shop around for a title agent that offers a high level of service and low closing costs. There are additional opportunities to save money on title related fees so ask us about re-issue credit. Contact our office at 407-591-3726 to speak with one of our licensed title agents or click below to request a call. Whether the transaction involves a multi-million dollar office building or a single-family home, a Buyer faces possible serious financial loss, or could lose the right to own the property altogether, if a serious cloud on the title goes undetected. 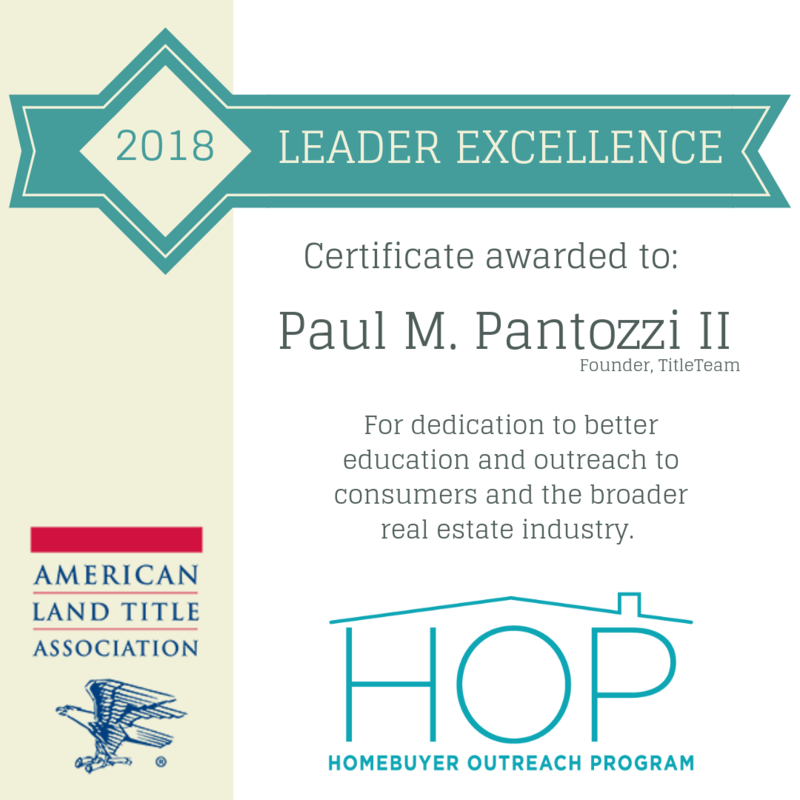 An expert title search before the purchase will identify the current status of title to the property as well as provide the list of necessary requirements for TitleTeam to complete in order for us to issue an Owners Title Insurance Policy on the subject property. An Owner’s Policy offers protection against various hazards, including those even the most thorough search of the public records do not disclose; such as forgeries, missing heirs or recording errors. The Owner’s Policy will pay valid claims against losses incurred by the policy holder as well as defense costs against attacks on the title. For a one-time premium, that is modest in relation to the value of property involved, the Buyer receives the protection of a title policy backed by the reserves and solvency of an insurance company. In the unlikely event the insurance company ceases to operate, reserves offer the assurance that another insurer will accept risk for the existing policyholders. While it is traditional in Florida for residential home Sellers to purchase the Owners Title Policy for the Buyer, and choose who the issuing title agent is, all Buyers should be informed. Contact our office at 407-591-3726 to speak with one of our licensed title agents or click below to request a call. Request a call from a licensed title agent. Why Choosing the Right Title Agent is Important. Forged deeds, mortgage releases, etc. You have an obligation to be involved and ask questions about the parties involved in your transaction. Also known as the Homeowners Choice. We invite your inquiries and welcome you to contact our office at 407-591-3726 to speak with one of our licensed title agents or request a call.